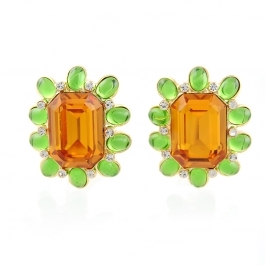 New from the Kenneth Jay Lane Couture collection are these striking peridot and topaz earrings. 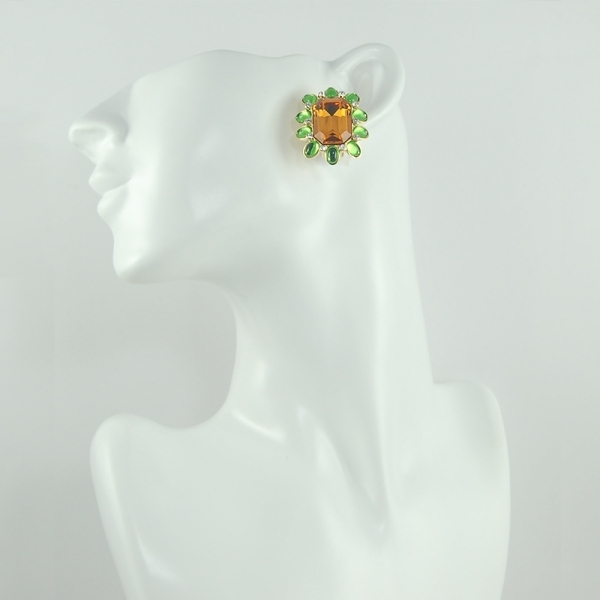 The flower shape design and green and orange hues of the swarovski crystals will lend a vintage feel to your outfits this season. Encased in 22k gold plate these clip earrings measure 2.3 by 3cm. Wear with your hair back to ensure these beautiful earrings catch the light brilliantly.